SXSW Movie Review: COMPLIANCE And The True Story Complex | Birth.Movies.Death. The problem with COMPLIANCE is that it has to be a movie. THE FILM OPENS WITH ONE OF THOSE “BASED ON TRUE EVENTS” TITLE CARD THINGYS THAT AUTOMATICALLY PUTS THE MOVIE-WATCHER IN SOME WEIRD SORT OF BIND. WE KNOW WE ARE NOT WATCHING A DOCUMENTARY, OR EVEN NARRATIVE NON-FICTION. IT'S A MOVIE. THUS WHATEVER WE'RE ABOUT TO SEE TAKES ON A QUALITY OF TRUTHINESS; A VAGUE SENSE OF REALISM TO LEND CREDENCE TO THE PROCEEDINGS. AND SOMETIMES MOVIES DO IT WITH BARELY ANY REGARD FOR LEGITIMACY (HULK MEAN THE FOURTH KIND ACTUALLY FELT EMBOLDENED ENOUGH TO DO IT). BUT WITH THIS FILM SPECIFICALLY, THERE IS A GENUINE REASON FOR ITS USE. THE WHOLE "THIS IS A THING THAT HAPPENED!" TAKES SUCH PRECEDENCE IN THE FILM THAT THE FILMMAKERS ARE ACTUALLY TRYING TO PROVE SOMETHING... AND THAT DESIRE TO PROVE IS EXACTLY WHAT MAKES THE FILM WORK AND FAIL SIMULTANEOUSLY. COMPLIANCE IS BASED ON RASH OF INCIDENTS IN WHICH A PRANK CALLER/CALLERS WERE CALLING UP FAST FOOD RESTAURANTS AND PRETENDING TO BE POLICE OFFICERS. UNDER THE GUISE OF THIS AUTHORITY, THE CALLERS CONVINCE THE RESTAURANT WORKERS TO DETAIN ONE OF THEIR YOUNGER, FEMALE WORKERS. AND (STILL UNDER THE CONTINUED GUISE OF THE AUTHORITY) THEY FORCED THE RESTAURANT EMPLOYEES TO CONDUCT STRIP-SEARCHES ON THE GIRLS, WHICH SOMETIMES RESULTED IN A WHOLE STRING OF SEXUAL ASSAULTS. SO THE SITUATION RAISES THE OBVIOUS QUESTION: HOW THE HECK CAN THIS HAPPEN? IT IS, OF COURSE, A VALID QUESTION. THE IDEA OF "CONTEXTUAL MORALITY" IS REAL, PERTINENT AND COMPLEX. MANY OF THOSE WHO HAVE SEEN THE FILM HAVE ALREADY CITED THE INFAMOUS MILGRIM EXPERIMENT, WHICH MADE GREAT STRIDES IN PROVING HOW FAR PEOPLE WILL GO IN DOING INHUMANE THINGS UNDER THE THREAT OF AUTHORITY. OR IF ONE WANTS TO DIVERGE FROM TRADITIONAL PSYCHOLOGY AND TAKE A MORE PHILOSOPHICAL ANGLE THERE IS THE OLD METAPHOR ABOUT HOW ONE DOES SOMETHING EVIL: ONE DOESN'T CHOOSE TO BE EVIL. ONE SIMPLY WALKS THROUGH A DOOR AND FINDS THEMSELVES IN A SITUATION WHERE EVIL IS HAPPENING. AND THEN THEY CAN SIMPLY WALK THROUGH ANOTHER DOOR... YOU GET THE IDEA. GOOD PEOPLE MAKE BAD DECISIONS ALL THE TIME. AND THE THING ABOUT COMPLIANCE IS THAT THIS SINGULAR IDEA IS WHAT THE FILMMAKERS REALLY WANT TO ZERO IN ON AND SHOW EXACTLY HOW IT CAN HAPPEN. ... SADLY, THAT'S PRETTY MUCH ALL THEY WANT TO DO. DON'T GET HULK WRONG. IT IS IMPORTANT TO NOTE THAT THE FILM'S POINT (THAT AUTHORITY IS THE REASON "GOOD PEOPLE DO BAD THINGS") IS ARTICULATED QUITE WELL. IT RARELY FEELS EXPLOITATIVE. IT'S TAKEN AS PRECISELY AS SERIOUSLY AS IT SHOULD BE. AND THE ACTORS EVEN MANAGE TO BRING IT TO LIFE WITH A SENSE OF GROUNDED REALITY AND HUMANE CONCERN. IT ALL RESULTS IN THE EFFECTIVE INVESTMENT OF THE AUDIENCE IN THE EVENTS ONSCREEN. WE ABSOLUTELY BELIEVE THESE ARE A GROUP OF DECENT, NORMAL PEOPLE WHO ARE PUT IN A UNIQUE SITUATION AND THEY... WELL... THEY REACT "THE WAY HUMANS ACTUALLY DID." 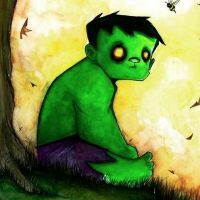 BUT HULK'S CONCERN IS THAT EVEN WITH THE COMPLETE AND UTTER VALIDITY OF THE MESSAGE BEING EXPLORED, THERE ARE STILL BIGGER TRUTHS TO HUMAN PSYCHOLOGY. A GOOD DEAL OF SEXUAL ASSAULT (EVEN IN A LOT OF THE CASES BEHIND THE MOVIE) ARE INDEED BASED ON HAVING A PRE-SET SEXUALLY AGGRESSIVE PSYCHOLOGY (SORRY FOR THAT "DUH" SENTENCE, BUT HULK JUST CONFIRMING ITS RELEVANCE). IN FACT, THE MILGRIM EXPERIMENT IS FAR LESS OF AN OPEN-AND-SHUT CASE ON HUMAN PSYCHOLOGY THEN WE'RE LED TO BELIEVE. TO ITS CREDIT, THE FILM RIGHTFULLY FLIRTS WITH THESE OTHER IDEAS: EVERYONE IS HAVING A PARTICULARLY STRESSFUL DAY. THEY DO A GREAT JOB ESTABLISHING THE PRANKSTER'S UNDERSTANDING OF COMPLIMENTARY REINFORCEMENT. AND ONE CHARACTER'S SLOW DESCENT INTO AN AWFUL DECISION IS TREATED WITH SOME GRACEFUL SUBTEXT. BUT AGAIN, THE FILM CAN'T HELP BUT RESORT TO THE FIXATION ON PROVING THAT GOOD PEOPLE DO BAD THINGS. WHICH IS PRECISELY WHERE THE "BASED ON TRUE EVENTS" ANGLE BECOMES SO PROBLEMATIC. NOW THE FOLLOWING EXPLANATION IS RIDICULOUSLY COMPLICATED, BUT BARE WITH HULK: THIS FILM ISN'T A TRUE STORY. IT'S AN AMALGAMATION OF SEVERAL STORIES AND TOLD IN SUCH A WAY TO MAKE THIS ONE CENTRAL POINT. IT'S FAIR THING FOR ANY MOVIE TO DO HULK GUESS, BUT SINCE THE MOVIE PUTS SO MUCH DEPENDENCE ON THE "THIS IS A THING THAT HAPPENS!" ANGLE, IT THEREFORE BECOMES DIFFICULT FOR IT TO EXPLORE BOTH THE OTHER COMPONENTS OF THE POSSIBLE TRUTH WITHOUT PERHAPS INVALIDATING THEIR STANCE OR, EVEN WORSE, DIVERGING INTO ALTERNATIVE FORMS OF STORYTELLING TO MAKE IT MORE COMPELLING. BECAUSE LEST WE FORGET, COMPLIANCE IS A MOVIE. IT HAS TO GO UP ON A MOVIE SCREEN. IT HAS TO BE WATCHED AND EXPERIENCED. AND IT ISN'T THAT THE FILM IS HARD TO WATCH OR UNCOMFORTABLE (THOUGH IT IS OFTEN BOTH OF THOSE THINGS). IT'S JUST THAT IN ORDER TO PROVE ITS SINGULAR HYPOTHESIS OF GOOD PEOPLE DOING BAD THINGS / OPENING ANOTHER DOOR TRUE, IT THEREFORE HAS TO RELY ON ONE PARTICULAR STORYTELLING DEVICE OVER AND OVER AND OVER IT; ONE WHERE IT IS EFFECTIVELY BRINGING EVERY SINGLE ONE OF THESE GOOD CHARACTERS INTO THE FOLD AND MAKING THEM OPEN MORE AND MORE DOORS OVER THE COURSE OF THE MOVIE. AND THE EFFECT IS UTTERLY MIND-NUMBING. … THAT EXCHANGED HAPPENS ABOUT 53,673 TIMES DURING THE FILM. AGAIN, IN ORDER TO MAKE THE SITUATION “BELIEVABLE," THE FILMMAKERS FEEL LIKE THEY HAVE TO FOLLOW THE LOGIC OF EVERY STEP ALONG THE WAY, BUT THE EFFECT ON A CINEMATIC LEVEL IS DISASTROUS. SURE, THE CHARACTERS / STAKES SWITCH AROUND CONSTANTLY, BUT THE METHOD OF MANIPULATION IS ALWAYS THE SAME. HONESTLY, IT'S LIKE HAVING A MARTIAL ARTS MOVIE WHERE EVERY SINGLE MOVE IS A RIGHT-HANDED PUNCH TO THE FACE. THAT MAY SOUND RIDICULOUS, BUT IN TERMS OF DRAMATIC CONVENTIONS THIS COMPARISON IS ABSOLUTELY TRUE. AND AS A SELF-AWARE VIEWING EXPERIENCE IT'S INCREDIBLY AGGRAVATING. EVEN WORSE? THE ENTIRE "POINT" IS ALREADY PROVEN. EVERYTHING AFTER THE FIRST STRIP-SEARCH IS ESSENTIALLY "OVERKILL" OF THE SAME EXACT CONCEPT. AND DESPITE THE VALIDITY OF SAID OVERKILL, THE FILMMAKERS FEEL LIKE THEY HAVE TO STICK TO THE DEVICE BECAUSE THEY SEEM SO AFRAID TO SKEW "UNBELIEVABLE" AT ANY POINT. THUS, THEY NEVER PULL AWAY FROM THE LOGIC AND STEPS OF HOW EACH PERSON GOT INTO THAT "NEXT ROOM." AND THE WORST PART IS THAT THEY ARE BOTH RIGHT AND WRONG TO DO SO: THE FEW TIMES THEY ACTUALLY PULL AWAY FROM HOW THE BAD THINGS HAPPEN IS WHEN THE FILM WORKS THE BEST AS A MOVIE, BUT WORST AS AN "UPHOLDER OF LOGIC." WHICH MEANS WE HAVE A FUNDAMENTAL PROBLEM WITH THE COMPLIANCE'S IDENTITY. ITS THE RARE FILM WHOSE FLAWS ARE NOT MATTER OF EXECUTION, BUT OF PURE INCEPTION. IN ORDER TO DO WHAT IT WANTS AND FOLLOW THE LOGIC OF "WHAT HAPPENS IN REALITY," IT HAS TO BECOME A RATHER TEDIOUS CINEMATIC EXPERIENCE THAT RUNS COUNTER TO THE LOGIC OF HOW WE FOLLOW CHARACTERS IN MOVIES. THE WHOLE THING ALMOST FEELS LIKE ANTI-CINEMA; A VISUAL OUTLINE OR DIAGRAM TO HOW CERTAIN ASPECT OF PSYCHOLOGY WORKS. IT'S ALSO A STUNNINGLY COMPLEX EXAMPLE OF HOW THE PURSUIT OF TRUTH CAN SOMETIMES UNDERMINE THE VERY TRUTH IT SEEKS. THE ANSWER, SADLY, IS THAT IT DOESN’T MATTER.